572 – Temporary filling placed till a more permanent filling can be done. 574 – Metal band – used to protect a weaken tooth, or help hold a temporary filling (add 572). 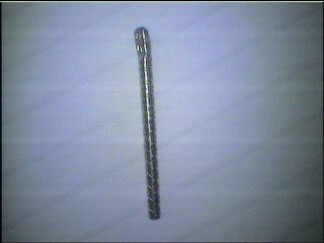 575 – per Pin. A pin helps hold and support any time of the metallic, adhesive or indirect fillings. In direct restorations the pin is screwed into the tooth and the filling placed onto it so that it is contained within the material. In indirect restorations, the pin is part of the material formed in the lab taken from models of pin holes prepared in the tooth. It’s then cemented in the pin hole with the rest of the filling. 576 – Metallic Crown – preformed – this a crown that is stock bought and not custom made. A size of crown is chosen to fit the tooth. 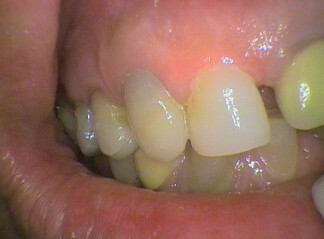 If material is need to build up the tooth before the crown is cemented then add 627. 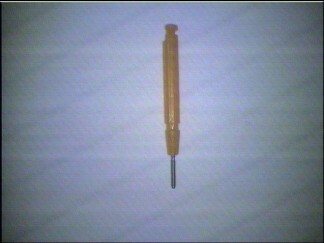 This often used for large filling in baby teeth. 577 – Cusp capping – per cusp – This is added to other direct or indirect fillings. A cusp is a “mountain peak” found on back teeth from behind the canines. 578 – Restoration of an incisal corner – per corner – This is added to other direct or indirect fillings of front teeth, where a corner is missing. 579 – Bonding of a tooth fragment. 582 – Veneer – direct. This is a coating of adhesive tooth coloured material to cover the surface of the tooth. This is usually done to mask a discoloured or misshaped tooth. Care you may need to be in the health fund for 12 months. Some levels of cover may not cover this item as it is considered a cosmetic item. 583 – Veneer – indirect. The tooth coloured material is made in a lab and is then bonded to cover the surface of the tooth. This is usually done to mask a discoloured or misshaped tooth. 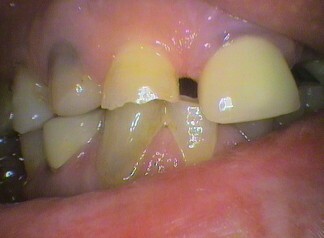 595 – Removal of an indirect filling. 596 – Recementing or rebonding an indirect filling. 597 – Post – direct – cementing a preformed post into a prepared root canal in order to hold a filling. We will continue this series on items numbers later, where the instalment will be on Prosthodontics (items 611-659) E.g. Crowns, bridges.